There are so many beautiful hand-dyed options available for yarn lovers, but they can sometimes be a challenge to work with. On today's post, we'll cover four key areas to consider before starting your next project with a hand-dyed yarn to ensure maximum satisfaction with your FO (finished object)! 1. Buy a "safety skein." Buying enough yarn for your project may seem like obvious advice, but judging by the number of #yarnchicken posts on Instagram, it can be easier said than done! A good rule of thumb is to add an extra skein to the amount of yarn you think you need to ensure that all of your skeins are from the same dye lot. 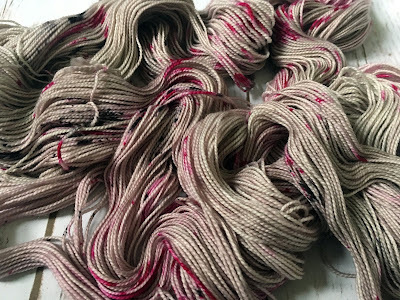 With the amount of variation amongst hand-dyed yarns (not to mention, the number of unrepeatable/one-of-a-kind colors out there), you'll be glad you did! If you end up having that safety skein of yarn left over, you can always make a matching hat, or enter it into your Ravelry stash as for sale/trade - chances are, someone will be interested in giving it a new home. 2. Pick the right pattern. #Specklesaresohotrightnow, but they don't go with everything! Many of those variegated color ways that look so pretty in the skein can be difficult to pair up with patterns, as more complex stitch patterns can get lost when they compete with a variegated colorway. More complex lace and cables are generally better suited to shaded solids, but if there is a pattern that you've got your heart set on for that special skein, do a little research first. 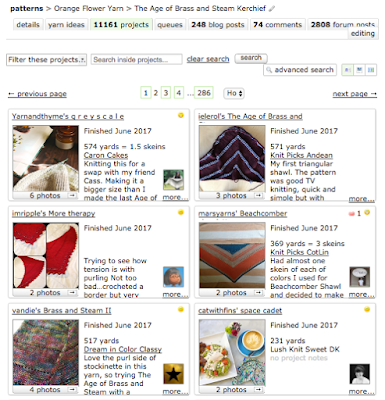 Check Ravelry to see other people's projects - it's likely someone else has made that shawl pattern with a variegated yarn, and if you like how theirs turned out, yours will probably look great, too! 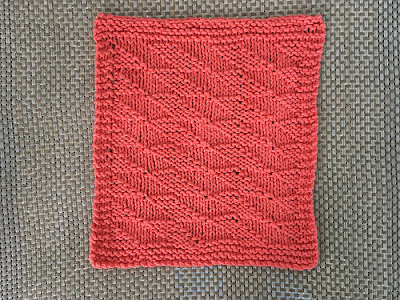 Of course, you can knit a swatch with your yarn as the final determination of whether or not to proceed, but checking Ravelry first can save you a little time! 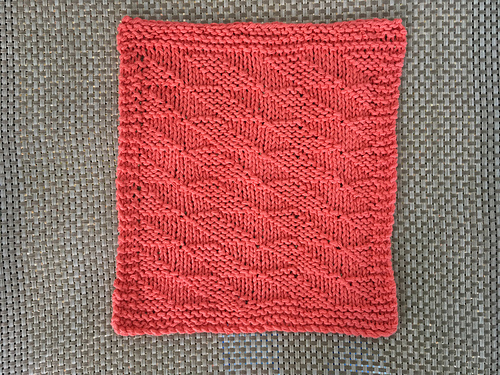 Lastly, a pattern with lots of shaping or slipped stitches will minimize pooling, which is when colors stack up while knitting to form larger splotches of color. This may or may not be a desirable effect - just check the Planned Pooling thread in the Yarn & Fiber Ravelry group to see some stunning examples of both ends of the spectrum. 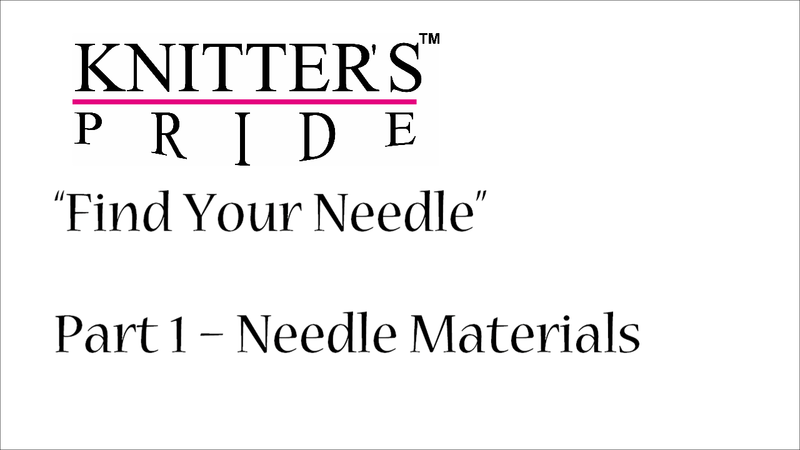 What if you forgot to buy that safety skein of yarn, and lost at yarn chicken? Alternating skeins is also a great way to introduce a different dye lot of the same color into your project with minimal detection (just make sure that you have enough of your original yarn to alternate rows for at least a few inches). Image via Handmade by Stefanie; used with permission. Sure, you can take your chances and hope for the best, but alternating skeins really isn't as fussy as it sounds, and the results are worth it. Reds, pinks and yellows are the hardest dyes to set properly. Newbie and experienced dyers alike have this problem! While these three hues are the most prone to bleeding, ANY color can be at risk. Especially if you are using multiple colors and/or pairing light with dark, checking for color fastness is a month before you begin your project. There is nothing sadder than those crisp white stripes becoming tinged with its neighboring color. It's better to be safe than sorry! We hope these tips help you to plan your next project with hand dyed yarn, and we would love to hear your own ideas and tips in the comments! We'll be in touch via Ravelry to coordinate the prize delivery. Thanks to everyone else who took our quiz and entered the contest! We had a great time seeing all of the clever home decor patterns that you all knit or crocheted over the last couple of months. Here are just a few of the projects that caught our eyes. The moment we saw these dresses, we thought they were super clever, and a fun way to bring a little fun into the kitchen. What a great idea, and we are sure to see more of these popping up on Ravelry! Thanks to LeilaEvelyn on Ravelry for sharing these with us. 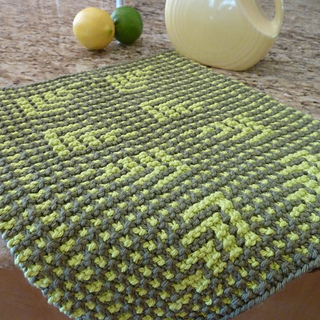 Many of you took to this delightfully textured pattern, and the results were fabulous! This one by 55yrknitter looks great with that hand poured bar of soap. Knittingdancer made hers in this stunning bright orange! We thought this dual colored pattern deserved some attention. The subtle patterning makes this a great addition to your kitchen or even a botanical inspired bathroom, Great work CornucopiAmy! We will get in touch with you via Ravelry to arrange for the delivery of your prizes. Thanks to everyone who entered our KAL/CAL!